The spirits maker converted more sales into operating profit in the second half of 2018, and promised higher growth and more savings. That addresses some of the activist investor’s concerns. But it glossed over worries about the family-dominated board lacking outside perspective. 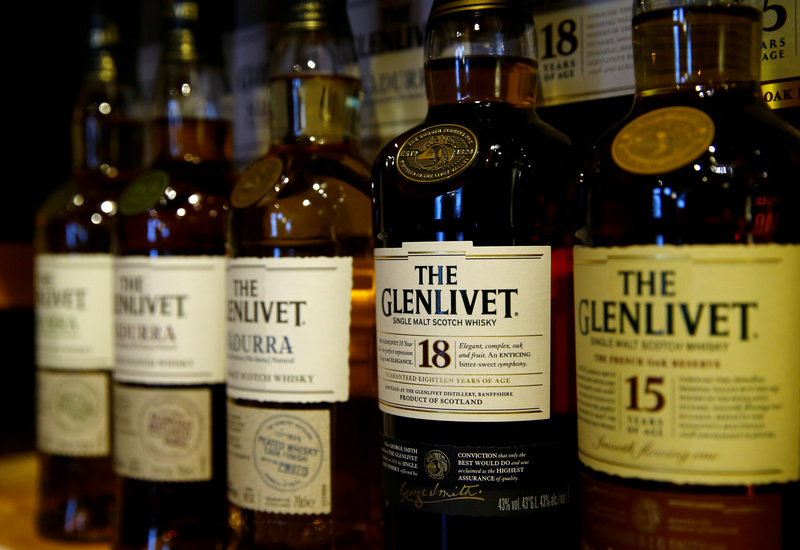 Bottles of single malt scotch whisky The Glenlivet, part of the Pernod Ricard group, are pictured in a shop near Lausanne, Switzerland May 18, 2017. Pernod Ricard’s net sales rose by 5 percent to 5.2 billion euros in the six months to December, the French spirits maker said on Feb. 7. Organic sales growth in the period was 7.8 percent. The operating profit margin from recurring operations expanded to 31.9 percent in the half-year, from 30.3 percent in the same period of the previous financial year. However, operating margins in Europe fell to 27.3 percent from 28.7 percent in Europe. Pernod Ricard said its goal for the 2019-21 period was to lift its operating profit margin by 50 to 60 basis points per year, provided it could deliver annual organic sales growth of 4 to 7 percent. It announced plans to cut costs by an additional 100 million euros per year by 2021. The company is under pressure from activist investor Elliott Advisors which on Dec. 12 said it had built up a stake of just over 2.5 percent, and called on Pernod Ricard to improve its corporate governance, boost its operating margin and improve returns for investors. Pernod Ricard shares were up 1.76 percent to 150.25 euros at 0833 GMT on Feb. 7.